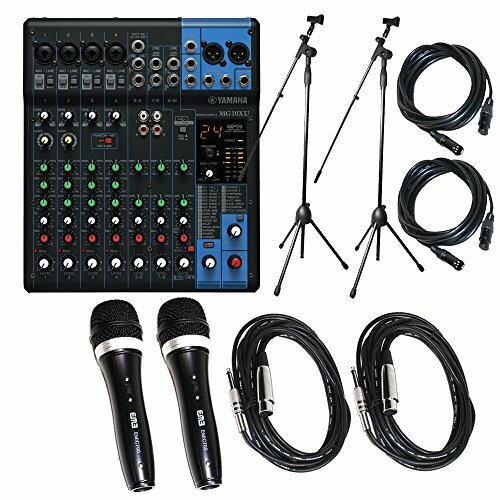 Yamaha Package Bundle: Yamaha MG10XU 10 Channel Mixer with USB and SPX Effects + 2 Microphone Stands + 2 EMB Emic700 Dynamic Undirectional Microphones w/ Cables + 2 XLR XLarge Cables by EMB at IGWT. Hurry! Limited time offer. Offer valid only while supplies last.